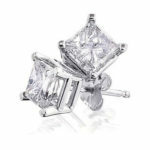 Earrings are wonderful addition to any woman’s jewellery collection. 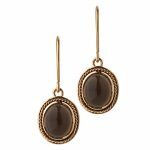 Beautiful earrings draw onlookers’ eyes to what often are the most flattering features of an individual - the face and eyes. 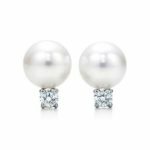 Whether you are thinking of elegant diamond studs, classic pearl studs, fashionable hoops in Silver, White Gold or Yellow Gold or a unique creation, Raffini Jewellers can custom make the perfect pair of earrings for you. Earrings make an ideal gift for someone special. They do not require sizing and may be made to suit pierced and unpierced ears. 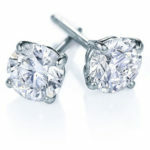 An exquisite pair of diamond studs will always be a winner and loved by women of all ages. Raffini Jewellers sell loose diamonds and can help you choose a suitable pair by explaining the 4 Cs. 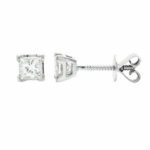 Diamond studs can be made in any combination of precious metals and settings. If you have a more elaborate pair of earrings in mind, Raffini Jewellers can discuss any ideas or images you have. 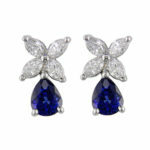 We welcome you to make an appointment to discuss your next pair of stunning earrings. 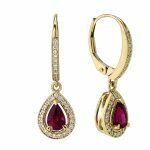 If you require some inspiration our website has a range of superb earrings, any of which can be custom made to suit your preferences. 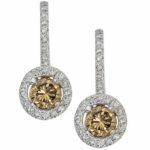 Whether it is for yourself or a gift for somebody special, Raffini Jewellers can create beautiful earrings to suit all budgets. At Raffini Jewellers we are confident you will be impressed with our high quality jewellery at competitive prices, delivered with expertise and friendly service.